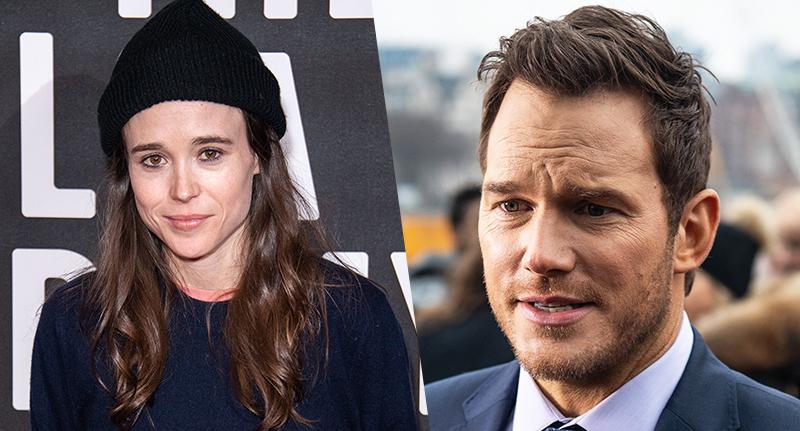 Ellen Page has doubled down on her criticism of Chris Pratt failing to acknowledge his church’s ‘infamously anti-LGBTQ’ attitude. The Juno actor is a leading gay rights activist and recently criticised Pratt after he appeared on The Late Show with Stephen Colbert and discussed his religious beliefs. Pratt has been vocal about his faith in the past, making it known that he attends the Zoe Church and Hillsong – a Christian ‘megachurch’ that is popular among A-list celebrities. So when The Hollywood Reporter put a tweet out about Pratt’s ‘spiritual side’ last week, Page wasted no time in making people aware of the church’s ‘anti-LGBTQ’ stance. Page, who recently made a documentary series called Gaycation, retweeted the post alongside a message of her own, calling out the interview for failing to discuss the negative connotations of Pratt’s chosen place of worship. Oh. K. Um. But his church is infamously anti lgbtq so maybe address that too? And now the actor has doubled down on her criticism of the Guardians of the Galaxy star, saying he should ‘not be surprised’ if people question his belonging to the organisation. Page was clear in her message that Pratt should be called out for his actions, implying the actor’s church ‘hates’ LGBTQ people and ending by saying she sends love to everyone. While the church says LGBTQ people are welcome to worship at Hillsong, it has made clear in the past they cannot ‘take an active leadership role’. Hillsong Church welcomes ALL people but does not affirm all lifestyles. Put clearly, we do not affirm a gay lifestyle and because of this we do not knowingly have actively gay people in positions of leadership, either paid or unpaid. So if you are gay, are you welcome at Hillsong Church? Of course! You are welcome to attend, worship with us, and participate as a congregation member with the assurance that you are personally included and accepted within our community. But (this is where it gets vexing), can you take an active leadership role? No. Pratt is yet to respond to Page’s criticism, and did not comment on the church’s LGBTQ stance during his interview.